For decades now, Western governments have been seeking to contain Iranian nuclear ambitions through a standard stick-and-carrot policy combining incentives for reforms with financial sanctions for retrenchments. This approach has failed primarily because it lacks appreciation of Iranian history and Islamic values as well as the extent of the regime's religious convictions and its attendant goals. Yet as Tehran experiences a slow but significant weakening of its governing blocs with many young Iranians free of the virulent anti-U.S. sentiments that fed the Islamic Revolution, positive gains can be made if the Western capitals properly understand and act upon the Iranian reality. In a 2005 speech to residents of the holy city of Qom, Iran's supreme leader, Ali Khamene'i, outlined the errors made by the West in its evaluation of Iran, including its underrating of "the pivotal role of the religious and spiritual leadership in Iran." The Iranian revolution is not exclusively that of Iran because Islam does not belong to any particular people … We will export our revolution throughout the world because it is an Islamic revolution. The struggle will continue until the calls "there is no god but Allah and Muhammad is the messenger of Allah" are echoed all over the world. This perspective remains a core belief of the Iranian leadership. For Khamene'i, the revolution was about the restoration of the Islamic faith to the center of society's political, social, and religious life. Likewise, many within the current regime believe that the achievement of the goal of an umma (Islamic nation) on a global scale would be greatly facilitated by the attainment of nuclear weapons, which in turn makes the pursuit of these weapons too enticing to concede. To disguise Iranian nuclear ambitions, Khamene'i has argued that Islam prohibits the production of weapons that could kill innocent civilians. In reality, this prohibition has not ended Tehran's nuclear drive, a substantial part of which was made under Khamene'i's watch. The religious establishment has always found sufficient rationalizations to support such efforts. By contrast, President Mahmoud Ahmadinejad has openly stated that the arrival of the Hidden Imam, a messianic figure for Shiites, could be accelerated by global chaos and violence. Talking to European diplomats, he asked, "Do you know why we should wish for chaos at any price?" to which he answered, "because after chaos, we can see the greatness of Allah." It would be wrong, however, to imply that the president and Khamene'i see eye to eye on the religious justification for Iran's nuclear program or its broader foreign policy goals. Ahmadinejad is a well-established believer in the idea that mankind can (and should) accelerate the return of the Hidden Imam while Khamene'i does not agree that Muslims should work for the Imam's return though he does believe that the return is extremely desirable. Nor, for that matter, did Ayatollah Khomeini, the revolution's mastermind and leader, believe in expediting this messianic eventuality. That the current Iranian president is a diehard messianic is in fact a departure from the revolution's more down-to-earth Islamic imperialism. When Khamene'i was brought into the role of the supreme leader, many within the religious establishment had reservations due to his limited religious credentials, his main forte being his extensive political experience. Prior to his elevation, Khamene'i cofounded the Islamic Republic Party and held numerous political and security positions, including deputy minister of defense; acting commander in chief of the Islamic Revolutionary Guard Corps; member of the Majlis (parliament); head of the Council of Cultural Revolution; and state president. This presented a challenge to the revolution's religious ideals, in part because the Islamic Republic was not fully grounded in the infallibility of Islam, as is commonly assumed, but rather in the adoption and practice of Islam as it meshed with the regime's socioeconomic practices. Although Khomeini's theory of the rule of the jurist (velayate faqih), concentrating all spiritual and temporal power in his hands, was largely compatible with Islam's millenarian history, it was not so much designed to implement Islamic law as to give the supreme leader the authority to refine or overrule it. Khamene'i's political background has thus been useful in sustaining Khomeini's legacy, allowing the regime to pursue its political interests through its authority to judge and selectively apply Islamic law. As Ahmadinejad has increasingly politicized the religious component of the regime, Khamene'i has remained truer to its purity, creating a growing divergence between the two. In the unrest attending Ahmadinejad's 2009 electoral victory, the president and his supporters sensed an opportunity to wrest some powers from the supreme leader and the religious establishment, whose unpopularity and challenged authority made them vulnerable. An Islamic government is not capable of running a vast and populous country like Iran. Running a country is like a horse race, but the problem is that these people [the clergy] are not horse racers. Ahmadinejad also picked several legislative and judicial fights with the clerics, challenging their prohibition of women in cabinet posts and also appointing some women to senior administrative posts, including provincial governorships. In January 2010, Science Minister Kamran Daneshjou inaugurated an international conference for women in the sciences in Tehran. Ahmadinejad's wife delivered a speech in which she touted women, knowledge, and science as "cornerstones of Allah's creation." Moreover, the president included only one cleric in his post-2009 government, as opposed to the three clerics serving as ministers during his first tenure. Ahmadinejad's cultural advisor, Javad Shamghadari, has likewise recommended that the hijab (head covering) should not be mandatory while Daneshjou encouraged people to observe a moment of silence at funerals instead of the traditional reciting of the first chapter of the Qur'an. Between Ahmadinejad's stacking of the government with those sympathetic to his goals and his dismissive attitude toward the theocrats, judges, and legislators, the president and his protégés have successfully attempted to take advantage of the religious hardliners' unpopularity to tilt the balance of power in their favor. In this sense, religion is shifting away from the center of the domestic narrative. In time, this may help produce a less Islamist government. Nevertheless, foreign and nuclear policy is formed by the supreme leader and clerics, and among Iranian diplomats and negotiators, religion still plays a critical role that must be taken into account. 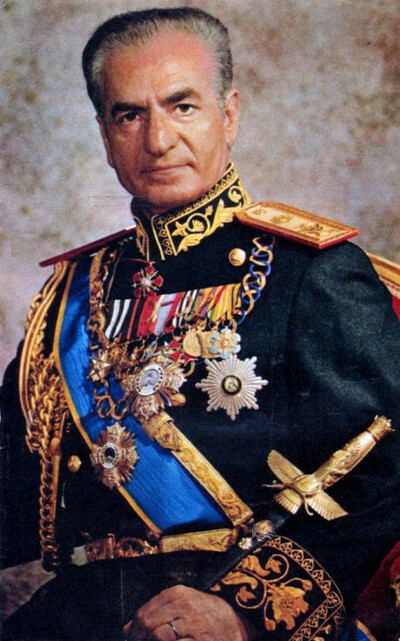 For Shah Mohammed Reza Pahlavi (r. 1941-79), the nuclear program, which he estab-lished in the early 1970s, was the ultimate reaffirmation of Iran's imperial glory. The shah's overthrow and the rise of the Islamic Republic did not eliminate the widespread pining for grandeur and influence, which still permeates the narrative of many Iranians and has been made more acute by the country's steady decline over the past few centuries. To you Cyrus, Great King, King of Kings, from myself, Shahanshah of Iran, and from my people, hail! ... We are here at this moment when Iran renews its pledge to history to bear witness to the immense gratitude of an entire people to you, immortal hero of history, founder of the world's oldest empire, great liberator of all time, worthy son of mankind. The shah's overthrow and the rise of the Islamic Republic did not eliminate the widespread pining for grandeur and influence, which still permeates the narrative of many Iranians and has been made more acute by the country's steady decline over the past few centuries. The impact of this perception cannot be overstated. Iranians look at the painful record of military and diplomatic defeats and humiliation and see a great civilization brought down by colonial powers that have cheated it of its ability to regain its pre-modern exploits. Small wonder that Iranian negotiators consider themselves the aggrieved party at the negotiating table, a sentiment that often results in bombastic and overly-aggressive behavior and rhetoric (by Western standards) that make compromise exceedingly difficult. President Obama needs to realize that the Iranian leaders' animosity toward the U.S. and the West has nothing to do with who the president of the United States is … the biggest misconceptions the West [has] about Iran is that it is possible to negotiate with the Iranian leadership, that there might be other players in power who could change the direction of Iran's policies, and that moderates might one day succeed in changing the regime's behavior. A familiar feature of revolutions, such as the French and the Russian, is tension, often conflict … Certainly there has been no lack of such tensions and conflicts between rival groups, factions, and tendencies within the [Iranian] revolutionary camp. The distinction between moderates and extremists is, however, one derived from Western history, and may be somewhat misleading when allied to the Islamic revolution in Iran. A more accurate description … would present the conflict as one between pragmatists and ideologues. The latter are those who insist … on maintaining the pure doctrine of the revolution … The former are those who, when they have gained power … find it necessary to make compromises. Yet even the likelihood of finding those pragmatists (not to be misconstrued for moderates) is unfortunately very low. There is no formal mechanism in the Iranian system for reaching a compromise between different political stakeholders, which in turn makes a bargain between the various factions virtually impossible. Further complicating the advent of moderation is the deception commonly practiced by the Iranian regime, grounded in the revolution's religious doctrine. Among its foremost stipulations are the concepts of khod'eh and taqiyya, religiously sanctioned practices of deception, which have been in heavy rotation among Iran's government and religious establishments and are found at its very core. Thus, for example, while in exile in Paris, Khomeini promised that no clergy would hold office when the revolution won power. Back in Iran and empowered by his victory, he concentrated all power in his hands in his capacity as the republic's supreme authority. When challenged on his broken promises, he invoked the concept of taqiyya. "When we were in negotiations with the Europeans in Tehran, we were installing equipment in parts of the facility in Isfahan," Hassan Rowhani, Iran's chief nuclear negotiator from 2003 to 2005, candidly admitted. "The day we started the [negotiating] process, there was no such thing as the Isfahan [nuclear] project." While Rowhani was distracting the European negotiators, the Iranians moved from having no uranium-converting capability to building a conversion plant, producing during this period enough yellow cake for five atomic bombs. The spokesman of the supposedly moderate president, Mohammed Khatami, was quoted as saying, "We had an overt policy, which was one of negotiation and confidence building, and covert policy, which was a continuation of the activities." True, the reality of political and religious Iran is too complicated to be exclusively explained by taqiyya and khod'eh; yet, as demonstrated by Khomeini's comment, these millenarian Islamic practices continue to play an important, if not the leading, role in Tehran's overall strategy and must be taken into account. On July 10, 2009, leaders at the Group of Eight summit in Italy gave Tehran a two-month deadline to begin negotiations over its nuclear program. On October 1, representatives of the five permanent members of the U.N. Security Council, as well as Germany, met Iranian representatives in Geneva and outlined a three-point agreement, which was to be accepted by Tehran by December 31, 2009. Yet no sooner had the ink dried on the document than the Iranian government announced the postponement of an impending U.N. inspection of the Qom facility by two weeks, a move widely seen as a ploy to buy time for hiding evidence of nuclear activities. The Iranians then waited until the expiry of the deadline to present a counterproposal: Instead of shipping the low enriched uranium (LEU) abroad in a single batch, the Iranians would send it in stages and replenish the dispatched materials with LEU purchased abroad. This would allow Tehran to keep its LEU stockpile, the activity that motivated the international concern and negotiations in the first place. To break the deadlock, Obama came up with a compromise: sending Iranian LEU to Turkey for temporary safekeeping. Tehran ignored the offer, stating that it would only exchange LEU for nuclear fuel on Iranian territory. In defiance of an International Atomic Energy Agency (IAEA) censure, the mullahs announced their intention to build ten new enrichment plants and reasserted their determination to begin enriching LEU. And as if to add insult to injury, a day before the Geneva deadline, Tehran gave the West one month to accept its counterproposals or be confronted with full scale production of high enriched uranium. The clerics, however, did not await the expiry of their own ultimatum to reject the Geneva principles altogether. Soon thereafter, Tehran moved 94 percent of its LEU to the Natanz enrichment plant and began spinning it in centrifuges. On March 17, 2010, Iran's atomic chief and vice president, Ali Akbar Salehi, tabled another proposal: Tehran would hand over 1,200 kilograms of LEU only after it received 19.8 percent enriched uranium and only if the transfer took place on Iranian soil. With the specter of U.N. sanctions looming large, Tehran signed a deal with Turkey and Brazil, not dissimilar to the Geneva agreement, only to threaten to annul the deal if the sanctions passed. Once this happened, Tehran threatened to revise its ties to the IAEA, postpone nuclear talks with the West, and retaliate for any inspection of its ships. Despite Obama's "open hand" outreach—a departure from George W. Bush's implied clenched fist—Tehran has not demonstrated any serious intention to reach a negotiated agreement. Nor, it seems, has it been deterred by the West's sanctions attempts. According to Gary Sick, the National Security Council's Iran expert, during the 1979 Iranian hostage crisis, the "fatal flaw of U.S. policy" was Washington's belief in its ability to bring sufficient pressure on Tehran to release the hostages, which incubated from "the tendency to underestimate Khomeini's willingness and ability to absorb external economic and political punishment in the pursuit of his revolutionary objectives." This belief seems to exist today in large parts of the international community, which are convinced that, notwithstanding its defiant rhetoric and political and economic attempts to circumvent the sanctions, for instance by setting up foreign banking operations and weapons factories in Venezuela and possibly in Sudan, Tehran lacks the will and stamina to absorb international punishment. Rejecting the idea that Tehran will comply with Washington's demands in order to avoid sanctions, Ahmadinejad retorted, "Your incentives are definitely not more valuable than nuclear technology … How dare you tell our people to give up gold in return for chocolate?" That he associated nuclear technology with gold and economic incentives with chocolate provides an insightful glimpse into the psyche of the Iranian leadership and the priority it gives its nuclear program. The belief that economic concerns can be used to influence Tehran thus misses this wider motivation. It is also crucial to understand that the 1979 revolution was based on ideas—ideas that were and still largely are unrealized in the public realm—rather than actions. These ideas underpin the regime's ideology, motivation, goals, actions, and sense of purpose. During the nuclear negotiations, the Iranians have been asked to compromise at a time when compromise itself would constitute failure. This would be a virtually impossible demand for any political actor, not least one that has repeatedly expressed readiness to die for the sake of avoiding such failure and has impudently crossed numerous red lines set by the international community. Those with insight can already hear the sounds of the shattering and fall of the ideology and thoughts of the liberal democratic system … We increasingly see the people around the world are flocking towards a main focal point—that is the Almighty God." There is an irreconcilable gap between the West's and Tehran's nuclear positions: The former wants a non-nuclear Iran; the latter is determined to be a nuclear power. As the mullahs see it, those who oppose their ideology and attendant policy goals are driven by inequitable, selfish, and immoral motives and have no business asking the Islamic Republic to compromise its ideological precepts. To this must be added the historical legacy of weaknesses, which has led Iranians to view negotiations as a means of survival and to entrench in non-conciliatory positions. From the mid-eighteenth century to the Azerbaijan crisis of 1945-47 when the Iranians prevented the Soviets from stationing large numbers of troops on their territory, Iran was in a steady process of decline, powerless to preserve its territorial integrity and subjected to periodic foreign encroachments and occupations. Furthermore, Iranians often found their sovereignty compromised by internal divisions and political failures originating in powerful foreign influences, as in the constitutional movement of 1906-11, the role of the foreign powers in the reforms of the Pahlavi shahs, and the U.S.-sponsored overthrow of Prime Minister Mohammed Mosaddegh in the early 1950s. With this legacy narrating its political twentieth-century experience, the revolution was supposed to catapult Iran to the top of the regional, and eventually global, power pyramid. Thirty-two years later, the regime is finding its position as a rising regional player limited by the challenges it is facing from both domestic and international forces. Domestically, the religious authority with which the supreme leader and the religious bodies rule is facing unprecedented criticism while the current government was formed following dubious elections that led to massive and ongoing public protest. Internationally, Iran has inspired great suspicion and outright distrust and animosity throughout the Arabic-speaking world that, combined with Western and Israeli concerns, has brought together an unusual alliance against it. In this context, the nuclear ambitions, religious fanaticism, and heavy-handedness of the current regime should also be seen as an attempt to revive the passion of the revolution, which its leaders perceived to have disintegrated across large swaths of Iranian society. Against this backdrop, the Iranians have approached the nuclear talks as a means to achieve their nuclear ambitions, viewed as indispensable to Iran's role as the preeminent Islamic power. Supporting this idea, former Iranian deputy foreign minister Mohammed Javad Larijani has said that "diplomacy must be used to lessen pressure on Iran for its nuclear program … [it is] a tool for allowing us to attain our goals." While Western societies view the concepts of negotiations and compromise as portals to peace and stability, the Iranian perspective is fundamentally different. In Khamene'i's own words, "Rights cannot be achieved by entreating. If you supplicate, withdraw, and show flexibility, arrogant [i.e., Western] powers will make their threat more serious." Still, the West believes that it can goad Tehran into flexibility. One of the Iranian regime's other priorities is its survival, which it secures through suppressing dissidents, shielding Iranian society from the outside world, consolidating power, and adopting independent and aggressive positions internationally. Viewed from this vantage point, rapprochement with the West constitutes a potential challenge to the regime's survival. Despite this, the West still believes that it can succeed by offering rapprochement. Cutting ties with America is among our basic policies. However, we have never said that the relations will remain severed forever … the conditions of the American government are such that any relations would prove harmful on the nation and thereby we are not pursuing them … Undoubtedly, the day the relations with America prove beneficial for the Iranian nation I will be the first one to approve of that. However, taken in the context of his speeches and policies, the message is not one of moderation but entrenchment. While some have offered this quote as evidence of moderation, a more probable interpretation is that Khamene'i simply believes once Tehran gets what it wants, the two countries' positions will be better attuned and their relations will consequently improve. While it is true that the Iranian regime craves the legitimacy attending renewed relations with Washington, experience shows that Tehran has thus far been highly adept in engaging the U.S. government while simultaneously showing it the back of its hand, thus winning the perception game. This may allow the Iranian regime to achieve the goal of recognition without having to pay for it. Furthermore, although Khamene'i has repeatedly spoken about the importance of Iran's scientific and technological pursuits for national sovereignty, and while one of the revolution's main criticisms of the shah was his reliance on foreign countries for labor and expertise in these fields, the West seems to believe against all available evidence that Tehran will outsource its nuclear science and technology. In order to attain independence and achieve national sovereignty and honor, any nation will have to pay a price. But nations should incur such expenses … they should be hopeful of the valuable results of their endeavors, despite all the attempts that are being made … to undermine their hopes and aspirations. Western engagement policy in general and the Obama administration's outreach in particular have failed because of their fundamental misperception of the Iranian religious and historical narratives, as well as Tehran's attitudes, goals, and strategic priorities. For the Islamic Republic regime, nuclear weapons are not a bargaining chip but the ultimate means for achieving its hegemonic ambitions abroad and securing its indefinite grip on power at home. Establish better ties with the Iranian people, especially the opposition and youth, through indirect engagement such as increased reach of Western media in Iran, confronting Iranian human rights abuses at international forums, and frustrating government censorship of the Internet. In 1961, Antulio Ramirez Ortiz used a gun to become the first person to hijack a U.S. aircraft. Forty years later, it took only knives for nineteen men to hijack four U.S. aircraft and use them as weapons of mass destruction to murder over 3,000 people. Clearly, weapons in themselves are not the potential enemy but rather the people possessing them. The way to prevent a nuclear Iran, therefore, is to concentrate less on its nuclear program and more on the regime seeking to acquire this capability. Aaron Menenberg is a Menachem Begin Heritage Center Israel Government Fellow with the Israeli Ministry of Defense in Judea and Samaria where he works for the International Organizations and Foreign Affairs Branch of the Civil Administration. The views expressed here are his own. Mohsen Sazegara, "The Importance of Iran's Domestic Political Atmosphere," in Patrick Clawson, ed., Engaging Iran: Lessons from the Past, Policy Focus #93 (Washington, D.C.: The Washington Institute for Near East Policy, May 2009), pp. 6-7; Mehdi Khalaji, Apocalyptic Politics: On the Rationality of Iranian Policy, Policy Focus #79 (Washington, D.C.: The Washington Institute for Near East Policy, Jan. 2008), p. 17. Karim Sadjadpour, Reading Khamene'i: The World View of Iran's Most Powerful Leader (Washington D.C.: Carnegie Endowment for International Peace, 2009), p. 19. Farhad Rajaee, Islamic Values and World View: Khomeini on Man, the State, and International Politics (Lanham: Universities of America Press, 1983), pp. 82‑3; Baqer Moin, Khomeini: Life of the Ayatollah (London: I.B. Tauris, 1999), p. 236. See for example, The Washington Post, June 4, 2009; Shimon Shapira and Daniel Diker, "Iran's 'Second' Islamic Revolution: Its Challenge to the West," Jerusalem Center for Public Affairs, June 2008. Asharq al-Awsat (London), Feb. 2, 2007, quoted in MEMRI Blog, Middle East Media Research Institute, Washington, D.C., accessed Mar. 22, 2011. See, for example, David Menashri, "Iran: Doctrine and Reality," in Efraim Karsh, ed., The Iran-Iraq War: Impact and Implications (London: Macmillan, 1989), pp. 42-6. Jamsheed K. Chosky, "Why Iran's Islamic Government Is Unraveling," Current Trends in Islamic Ideology, June 15, 2010. PBS Frontline, Tehran Bureau, Nov. 8, 2009. For Ahmadinejad's systematic purging of Khamene'i's supporters and building of his own patronage system, see, Ali Alfoneh, "All Ahmadinejad's Men," Middle East Quarterly, Spring 2011, pp. 79-84. Gary Sick, All Fall Down: America's Tragic Encounter with Iran (Lincoln: Author's Guild, 1986), p. 193. Agence France-Presse, Nov. 17, 2003. Hannah Elliot, "Q&A with Reza Kahlili, Iranian Double Agent," Forbes, May 20, 2010. Bernard Lewis, "Islamic Revolution," The New York Review of Books, Jan. 1, 1988. Patrick Clawson, The Perfect Handshake with Iran: Prudent Military Strategy and Pragmatic Engagement Policy (Washington, D.C.: The Washington Institute for Near East Policy, 2010), p. 2. Abbas Milani, "Pious Populist," The Boston Review, Nov./Dec. 2007, p. 5; for further analysis, see Dore Gold, The Rise of Nuclear Iran (Washington, D.C.: Regency Publishing, 2009), pp. xii, 62, 185, 246, 248. Elaine Sciolino, "Showdown at the UN? Iran Seems Calm," The New York Times, Mar. 14, 2006; Therese Delpech, Iran and the Bomb: The Abdication of International Responsibility (New York: Columbia University Press, 2007), p. 113. The Daily Telegraph (London), Sept. 13, 2004. Michael Rubin, "Diplomacy by Itself Won't Work with Iran," Investor's Business Daily, Feb. 13, 2009. Sen. Daniel Coats, Sen. Charles Robb, Gen. (ret.) Charles Wald, "Meeting the Challenge: When Time Runs Out," Bipartisan Policy Center, June 2010, p. 15. All Headline News (Washington, D.C.), June 29, 2010; al-Jazeera TV (Doha), June 10, 2010. Sick, All Fall Down, p. 242. "The Link between Iran and Venezuela: A Crisis in the Making?" remarks by Robert Morgenthau, district attorney for New York County at the Global Financial Integrity Symposium, Brookings Institute, Sept. 8, 2009. Jonathan Schanzer, "The Islamic Republic of Sudan?" Foreign Policy, June 10, 2010. Glenn Kessler, The Confidante: Condoleezza Rice and the Creation of the Bush Legacy (New York: St. Martin's Press, 2007), p. 203. Amir Taheri, Nest of Spies: America's Journey to Disaster in Iran (New York: Pantheon Books, 1989), p. 269. Bret Stephens, "Iran Cannot Be Contained," Commentary Magazine, July/Aug. 2010. Tehran Times, Mar. 3, 2009.
 Business Week, June 4, 2007. Khamene'i's address to students in Yazd, Jan. 3, 2008, cited in Sadjadpour, Reading Khamene'i, p. 17. For additional analysis, see Michael Singh, "Changing Iranian Behavior: Lessons from the Bush Years," in Clawson, Engaging Iran. Sadjadpour, Reading Khamene'i, p. 11. Related Topics: Iran | Summer 2011 MEQ receive the latest by email: subscribe to the free mef mailing list This text may be reposted or forwarded so long as it is presented as an integral whole with complete and accurate information provided about its author, date, place of publication, and original URL.